A cardiothoracic surgery team at Sheikh Zayed Specialized Hospital, in the 6th of October City, performed a surgical procedure on Sunday to remove a tumor in the right chest cavity of patient Fawzia Abdel Ghaffar, 56. The patient suffered from a severe cough and dyspnoea, with no response to any drug treatment. X-ray and CT scans on the chest showed the presence of a tumor in the right chest cavity adjacent to the pericardium surrounding the heart. The medical team was led by cardiothoracic surgeon Dr. Amr Abo el-Wafa, assisted by Ahmed Khallaf, assistant professor of cardiothoracic surgery at the Faculty of Medicine of Cairo University, and a consultant in cardiac surgery at the hospital. The surgery lasted for a total of three hours. The surgery utilized a thoracic incision to remove the tumor. 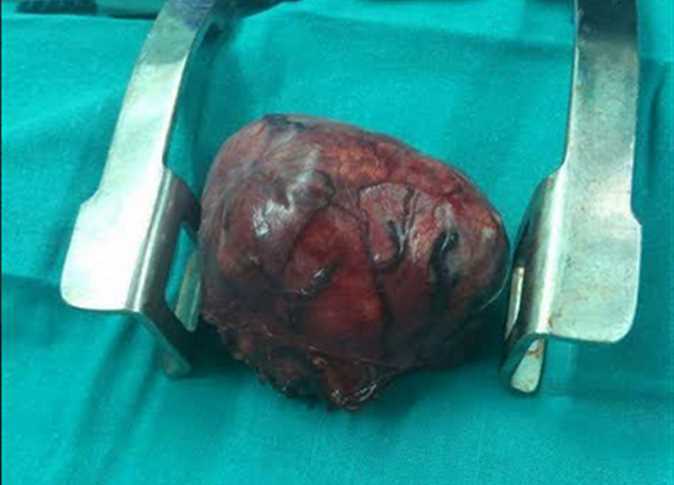 The specialists were able to completely separate the tumor from the pericardium and from the left lung and extract the entire tumor, 500 grams in weight and 15 cm in diameter. This type of surgery is one of the most precise and dangerous chest surgeries. The patient left the operating room in stable condition and is still following under hospital care.